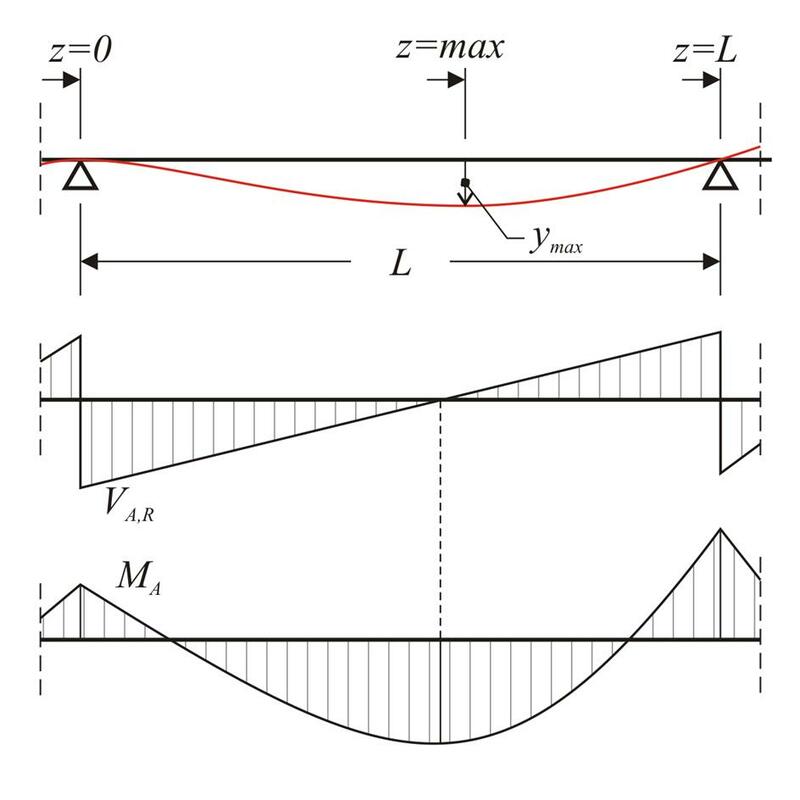 Slab bar AB of length L, moment of inertia I, elasticity modulus E, is subjected to uniform load p. Given shear force VA,R(at left support) and bending moment MA, calculate equation of elastic line due to bending and maximum deflection. Thus, the equations of the elastic line tangents (1) and deflections (2) are determined. The maximum deflection is at the location where the first derivative of the elastic line equation is zero, i.e. at the point z where φ(z) =0. The real positive root of the cubic equation (3) gives the desired point zmax, which replaced in equation (2) yields the maximum deflection ymax.